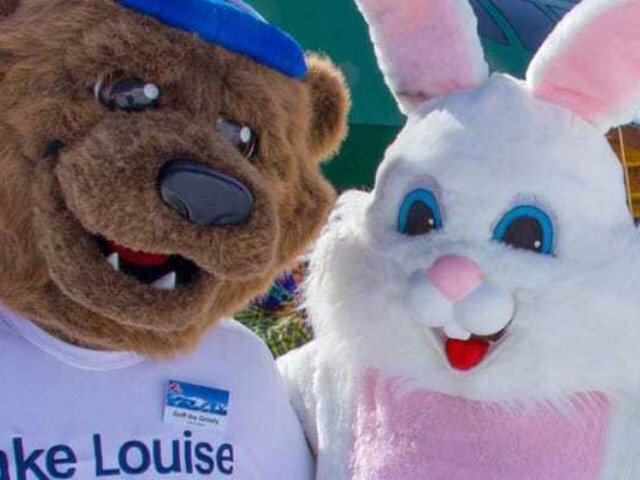 Friday, Saturday and Sunday of the Easter Weekend, keep an eye out on the hills at the lodge for the Easter Bunny and Griff the Grizzly as they make their way around handing out Easter Eggs and posing for photos. On Sunday, join in the fun at the Temple Lodge (backside of the mountain) for a free Easter Egg Hunt for kids 12 and under. Look for the Easter Bunny on the patio around 12 noon.